If you have followed us over the years, you know that we created our own wine label named “SHINER WINE COMPANY.” The label was simple and aptly named after a “Shiner,” a finished or bottled wine that doesn’t have a label or typically any other identifying feature until a vintner purchases them and then places a label on the bottles. (James Laube – Wine Spectator 5/27/08) Having created six different wines over a three-year period, we decided to check this label-owning ventureoff our list and move on. Late last week, when we received a phone call from our “SUPPLIER” who made/sold us our 2014 Paso Robles Zinfandel. 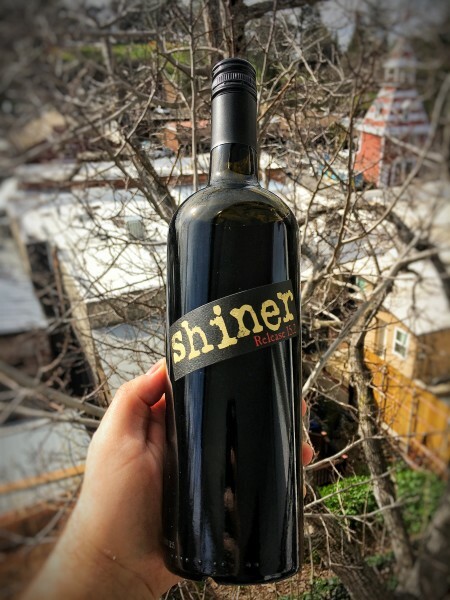 SHINER WINE COMPANY – RELEASE 15.2, was a stunning zinfandel with ripe red raspberry, strawberry, cedar and cocoa overtones with a lengthy spice finish. We had originally produced 220 cases of this gem and (thought)we had “SOLD OUT” just a couple of months of after releasing. Asking price was $20/bottle, but when you purchased a 6pk (or more) the wine dropped to $14.99/bottle. A no brainer for zin-freaks! WELL, back to the phone call. Our supplier had recently completed a whole warehouse inventory audit and to his surprise (ours too) he had one more pallet (56 cases) of the Shiner 15.2! As I said, we had recently decided to abandon the SWC program, but when CV makes a deal, we follow it through to the end. TASTING NOTES: On the nose a perky hit of just-picked strawberries spanked with white pepper. Remarkably elegant for a zinfandel, fruit forward, but not sweet and has beautiful acidity. In fact, this wine is unexpectedly dry. Flavor profile is dominated again by raspberry/strawberry, with a hint of cranberry tartness and spicy finish. Eminently quaffable.